Adjacent to Starbucks, Days Inn Gretna Green is close to the M74 and M6 motorways, and within easy reach of Carlisle. It has unlimited free Wi-Fi and free parking. Enjoy ample free parking, 24-hour reception, and unlimited free WiFi. Each room features a flat-screen television, free hot drinks tray, and hairdryer. Executive rooms include ironing facilities, a mini-refrigerator, and complimentary snack and drink upon arrival at our pet-friendly hotel. Newcastle-upon-Tyne and County Durham are about 1 hour from the hotel. The famous wedding village of Gretna Green is close by. Tasteful en suite rooms include a flat-screen TV with Freeview channels, a free hot drinks tray and newspaper. A hairdryer and a trouser press are also available. Local attractions such as The Old Blacksmiths Shop, Gretna Green, Carlisle Castle, Carlisle Cathedral and Solway Coast are all close by. 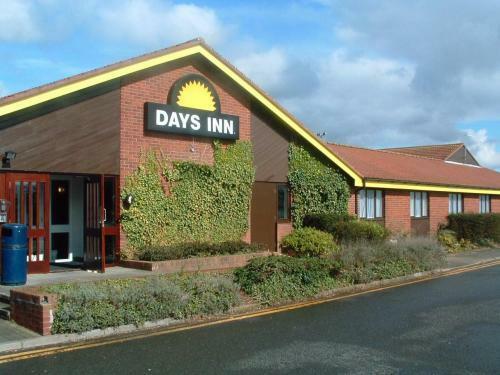 Days Inn hotels are an international hotel company, they have many different locations around the World. They pride themselves on providing the needs for whether you are on business or a vacation. Our Hotel is ideally located on the main motorway links, so is easily accessible and ideal for your onward journey. As we are on a Motorway Service station we have a variety of outlets such as KFC, Burger King, Starbucks & Waitrose for anything you may need during your stay. We are near the World Famous Blacksmiths Shop, a wedding centre in Gretna Green where couples have been marrying since 1754. Find great shopping at Gretna Gateway Outlet Village, or enjoy a stroll along the beaches of the beautiful Solway Coast. Some of the most scenic spots in the UK are a short drive away, including the 900-year old Carlisle Castle, and Carlisle Cathedral, founded in 1122 and known as the smallest cathedral in England.